We are the simplest call tool. 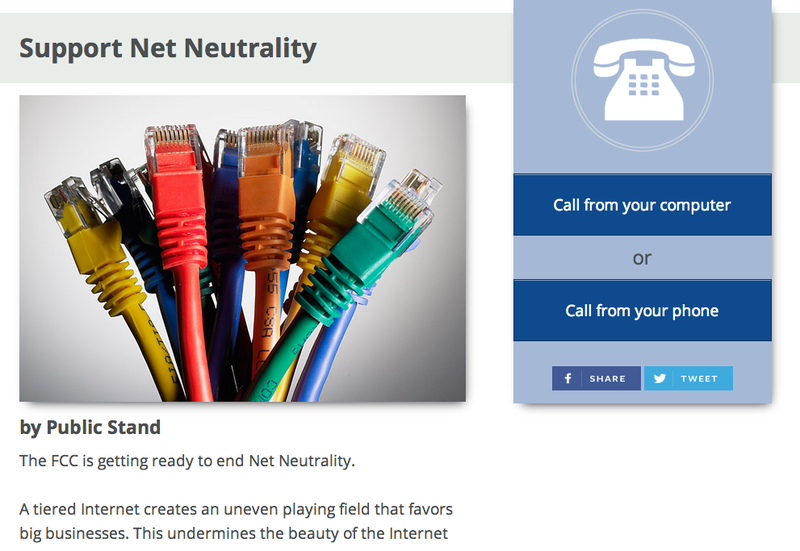 Have your campaign's supporters call officials in a click anywhere on the Internet. Create your dedicated call campaign page. This takes 3 minutes. Link to your campaign page from emails, social media posts, and websites. 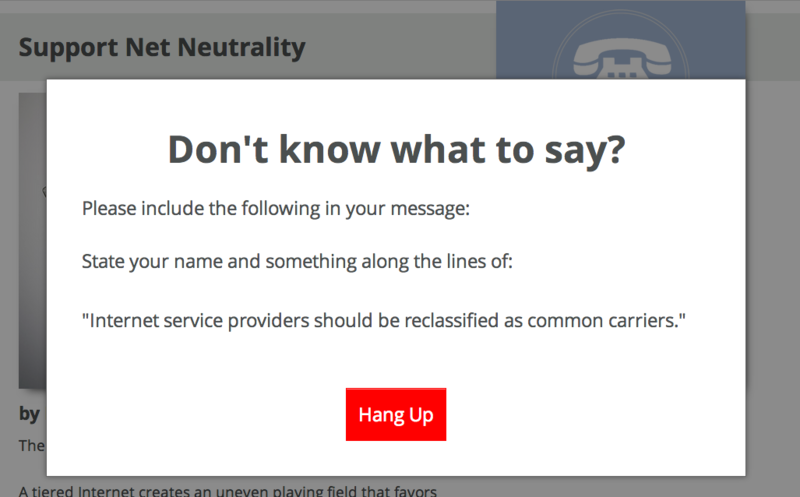 Watch your supporters start calls in one click. You’ll have access to all pertinent data for your campaign's calls, including call traffic, conversion, and caller geography. Interested in having your supporters make phone calls with a click or two? Let's get in touch. Interested in helping with our beta program?